Editor's note: Google Drive is a place where you can create, share, collaborate, and keep all of your stuff. From spreadsheets of orders to meeting notes, Google Drive lets you manage all your business files in one place. Now you can do even more with updates to the Google Drive mobile app. This post is cross-published from the Google Official Blog. Starting today, if you’re using the Drive app on your iOS device you can also edit Google documents, just as you can with the Android app. 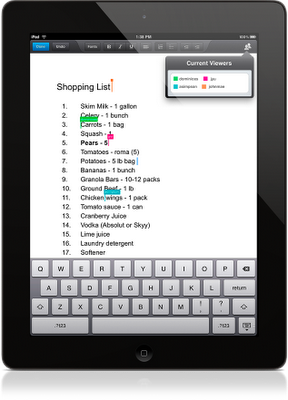 From your iPhone or iPad, you can create a new document, edit an existing one or format text. And, just like on your computer, you’ll be able to see other people’s edits instantly as they’re made.